Paula Cowell is a freelance makeup artist based in Norwich and working throughout Norfolk and Suffolk. Paula set up Beauty Bridal over 20 years ago and has gone on to become one of Norfolk's leading hair & makeup specialists with a wealth of experience in the wedding industry. She works with a carefully selected team of industry experts to help you feel your very best for your special day. Maxine McKeown, Beauty Bridal’s resident hair stylist, has been a freelance hair stylist for over 11 years and has been working with us for the last 5 years creating stunning bridal hair styles. Kirsty has been a fully qualified hairstylist for over 13 years and has created gorgeous wedding styles ever since. She loves being involved with the bridal party, helping everyone relax and keep calm. Laura Mountgomerie is our third qualified hairstylist with several years experience. She has a real passion and talent for bridal and occasional hair. Clare Barber, a fellow make up artist, has over five years experience in the industry. She has a keen interest in all genres of makeup and loves creating styles whether it be from a specific period or according to present day trends. She is very friendly and highly professional. "Thank you so much for doing my wedding make-up. I was really pleased with the results, and for such a warm manner which helped to keep me calm. It was just like having another friend in the house on the big day." "Thank you Paula. It was nice to have some of the stress taken away and to be pampered a little. Thanks again." "Could not fault your work it lasted throughout the whole day no touch up required even through the tears! Thank you for making me look a million dollars." "It was lovely to have someone so easy to chat to, to help calm the nerves - and someone patient with all my blinking!" The Beauty Bridal team specialises in natural looking hair and makeup for both the bride and her party. We pride ourselves on using only the highest quality products that last up to 16 hours. Please follow us on Twitter and Facebook to keep updated on what we are doing and to see our latest work. Alongside Beauty Bridal Paula has also launched The Bride's Organiser. The Bride’s Organiser is a fantastic book that enables you to keep every detail for your big day together from budgeting and time planning to guest lists and honeymoon packing lists. It’s an invaluable tool for those who like to keep organised and would make a great engagement gift for the bride to be. 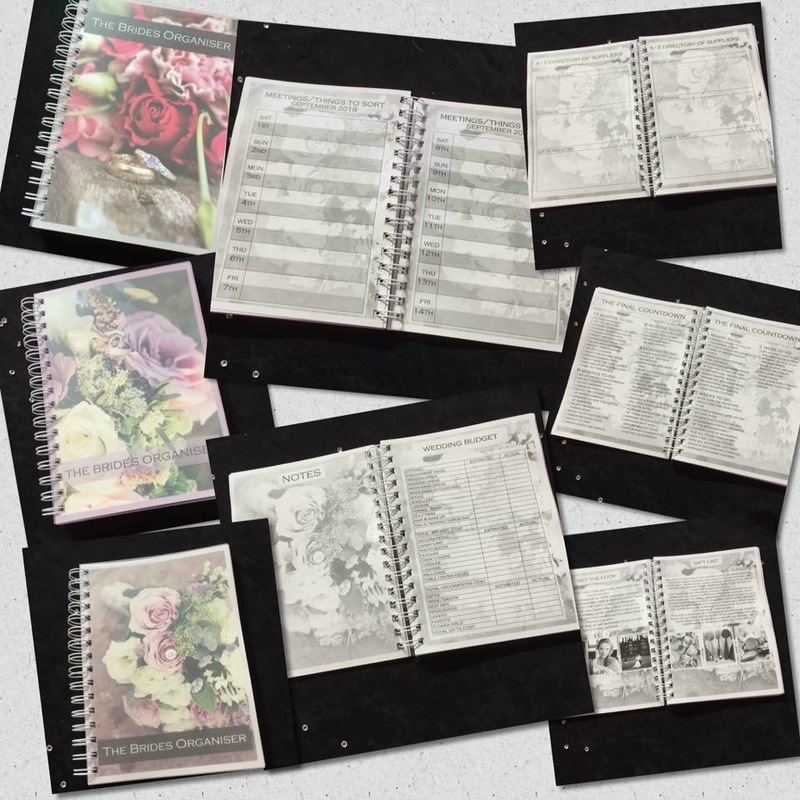 A must have for any Bride getting married, The Brides Organiser will take away any stress you may have and allow you to enjoy the whole wedding process.